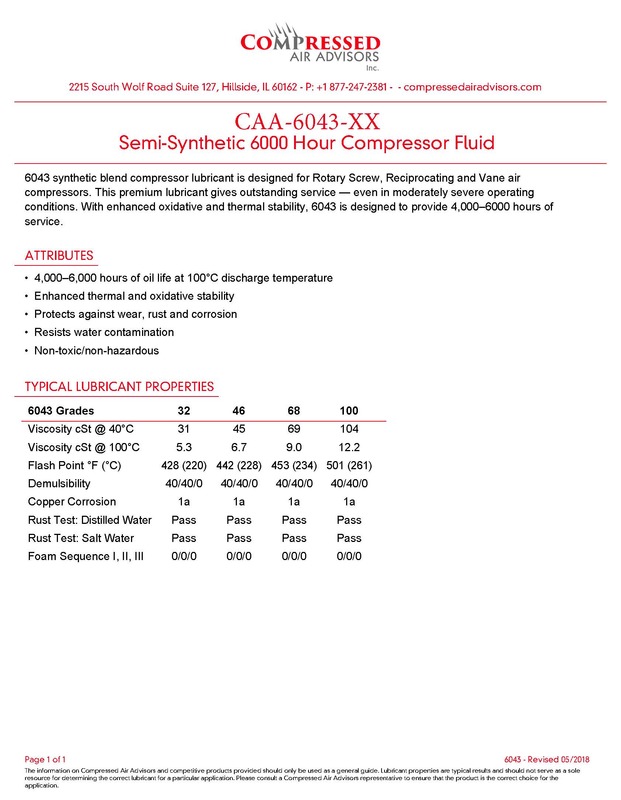 CAA-6043-68 compressor lubricant is designed for rotary screw air compressors. This premium lubricant gives outstanding service — even in moderately severe operating conditions. With enhanced oxidative and thermal stability, CAA-6043-68 is designed to provide 4,000–6000 hours of service.